50 items per pack. 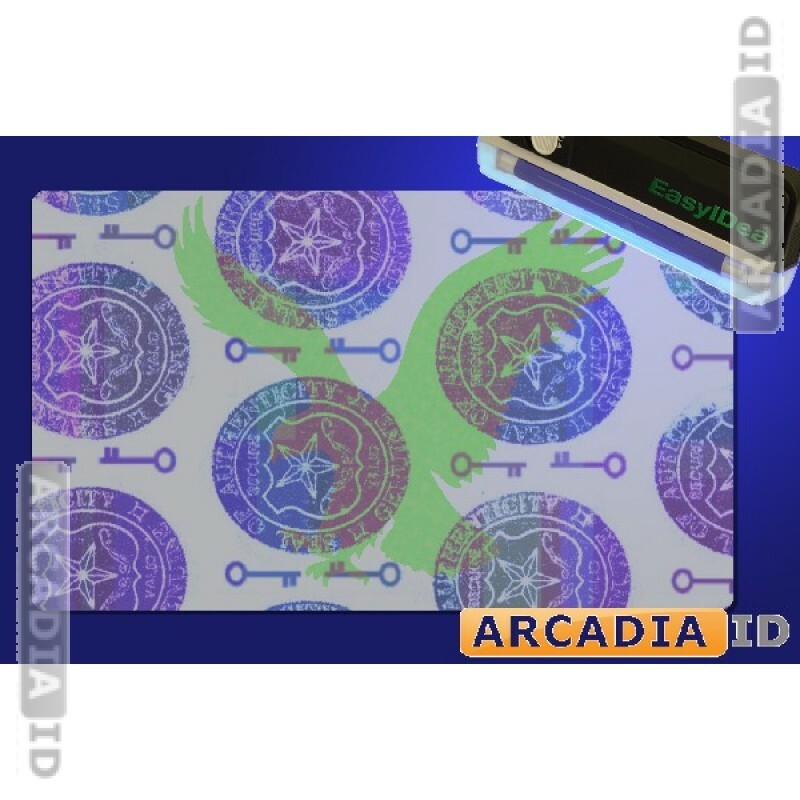 These overlays add a visible seal and key design to your photo IDs as well as an additional holographic eagle that is only visible under ultraviolet light. Very attractive and very effective. 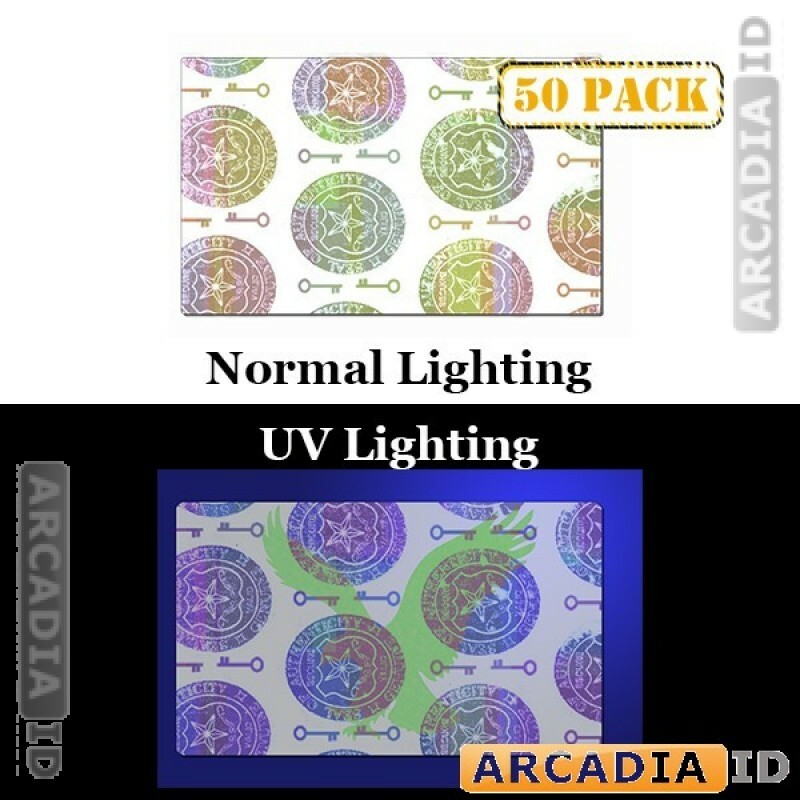 For more photo ID card products at low prices be sure to take a look around the rest of the site. You can always depend on us for the very best value every time.